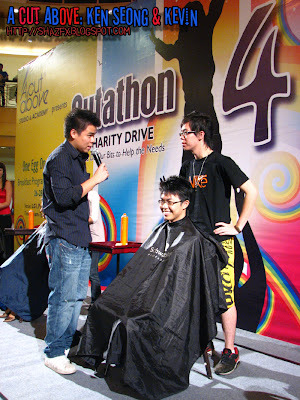 A cut for charity, yes you got that right... the students of A Cut Above Academy here at Sunway Pyramid was all out during this 2 day event trying to set a record for the number of haircut done within these 2 shopping days and all the proceeds to this RM10 per cut will go directly to charity. 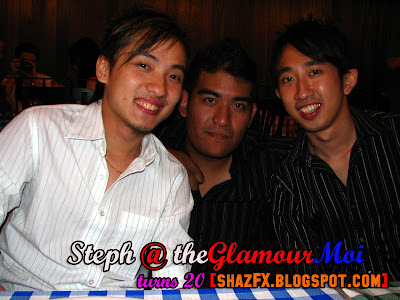 Before i go any further, i would like to wish Steph a very happy birthday once again and so sorry that it is only now that i get to post your birthday photos here on my blog although it happened a while back in August 2007. 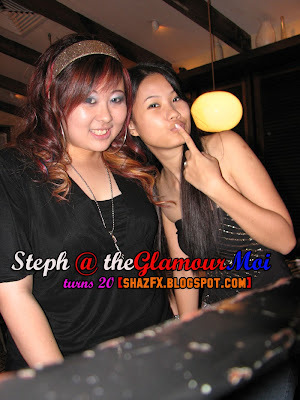 Happy 20th Birthday Steph and see you around real soon K! 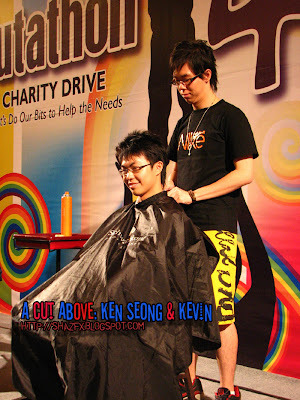 As for the rest, this update is split into 2, where the first half would be about the A Cut Above charity cut where Kevin and Ken Seong participated in the on-stage contest where there are 3 different groups of participants, each group has to style one person's hair and do some face painting / design. 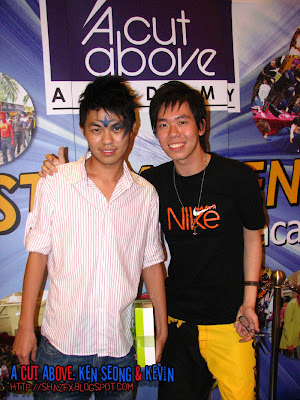 Thus Kevin and Ken Seong took part in this contest and guess who won the Grand Prize...(sponsored by Elianto)??? The grand prize winners of this contest was KS & Kevin!!! Congrats to both of them!!! 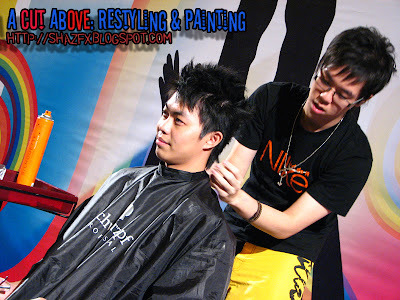 Kevin standing brave upfront on stage whilst Ken is under the schwarzkopf thingy getting ready to be styled!!! 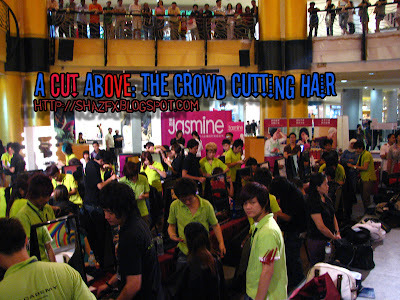 Yes, there were that many people... the amount of stylist!!! OMG... and the participants!!! 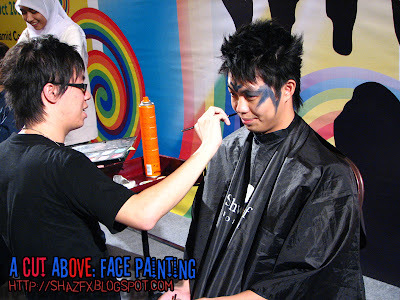 Well, let's not go there... just concentrate on the styling and the face painting shall we!!! 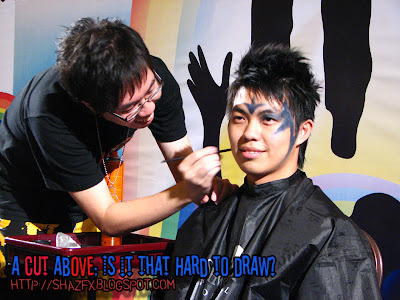 Is it that hard to draw? Well... Kevin was finding it difficult, but this is art! Just try anything you want!!! 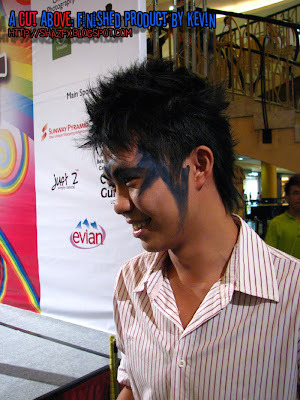 But Kevin on the other hand is goign all out in doing whatever design he deemed fit for Ken's face!!! The grand prize winners of this afternoon's contest... now where do we go to remove those make-up??? 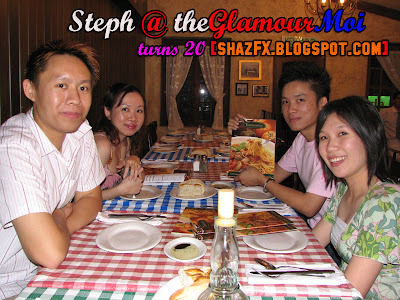 Steph's 20th b'day celebration celebrated at Italiannies!!! 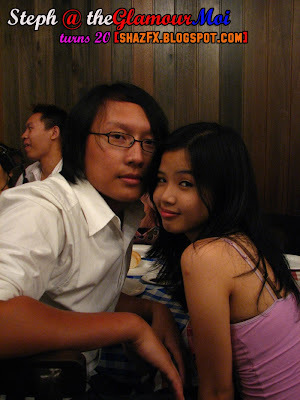 Both of us together... it's been long since i last saw her! 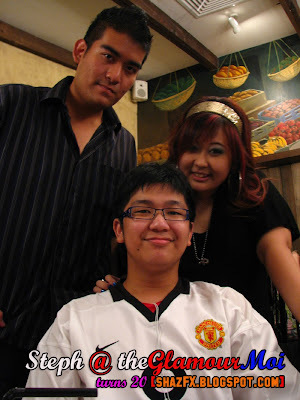 Seng Foo, Me and Steph together in this photo! MAN U rawkss!!! 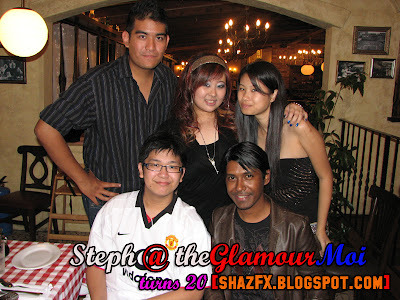 A picture with Seng Foo, Rames Cheryl, Steph and myself. Happy Deepavali Rames!!! L-R: James, Joanne, Benghan & Sylvia... Italiannies is certainly our favourite place for FREE BREAD! 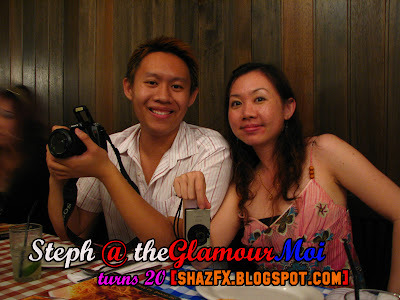 Asyraf Lee the photographer with Stephanie! My battlefield 2142 buddy!!! 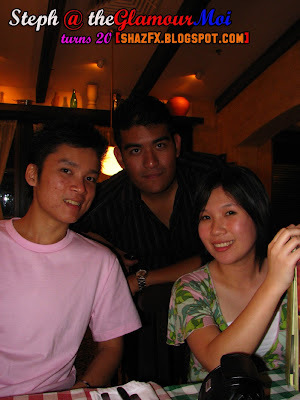 Benghan, Sylvia and me... oh well the Penang Bloggers were suppose to join us as well today!!! Calvism and Ivan... the last time i met these 2 guys were at the Jazz Fest @ Mt. Kiara! 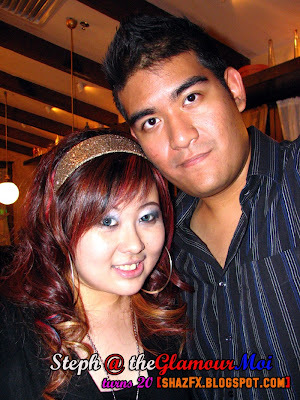 James & Joanne... this guy has a Sony Alpha A100... cool huh! 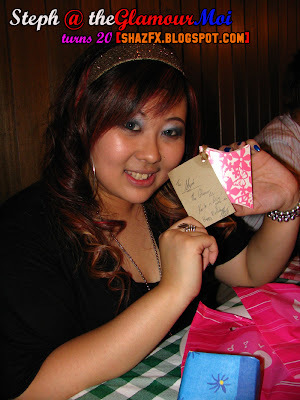 Last but not least my former colleague Cherrie Chan, Jen - both now moved to new companies... and not forgetting Kel Li! What are they queing up for..?? ?